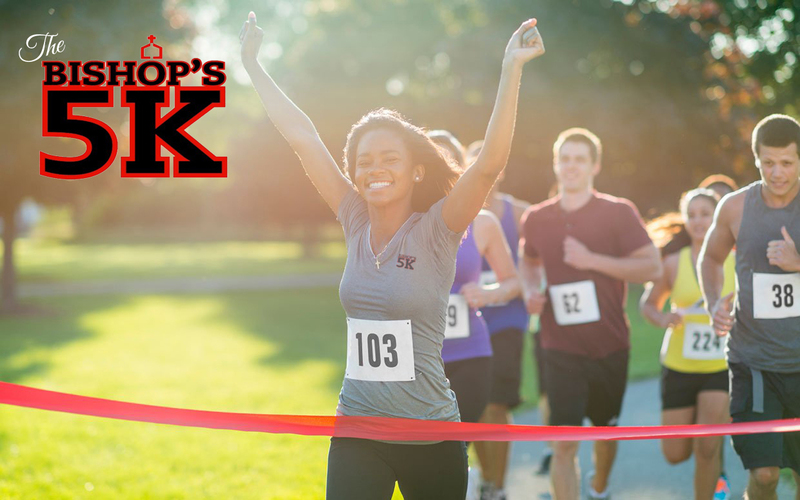 Saturday, November 9th, 2019 is the fourth running of the Bishop’s 5K Run/Walk for the benefit of Catholic Charities in the Diocese of Wilmington. Did you know that one out of every 10 residents of the Diocese receive at least one service from Catholic Charities each year? The Bishop’s 5K brings the community together for a fun event heightening awareness of the Catholic Charities services and provides resources for Catholic Charities to expand its outreach efforts. Runners and walkers will compete to see who makes the best time, and will be awarded some great prizes. Deadline for receipt of your Sponsorship logo is Wednesday, October 9, 2019. For information about Sponsorships, contact Xavier DeCaire at 302-658-0218 or click here. Scroll here to select Sponsorship Level or Ad Pricing for online purchase.